War on Terror | I HATE HATE!!! Secret courts, FFS – Now tell me the Tories aren’t Nazis! The government’s proposed justice and security bill, which they are trying to get through Parliament, will enable them to cover up any involvement in torture – past, present and future – as well as denying defendants any right to a fair trial. As an example: British resident Binyam Mohamed, who was seized in Pakistan in 2002 and rendered to Guantamano Bay, went to court to get compensated for the cruel and brutal treatment he got from the CIA with the full knowledge and complicity of the UK intelligence services. The high court ruled that CIA information that revealed MI5 and MI6 knew of Mohamed’s ill-treatment should be disclosed. The ruling provoked a storm of protest, with some in the government claiming the US had threatened to withhold intelligence from the UK. At the same time, to avoid further incriminating evidence being disclosed, the UK government paid undisclosed sums, believed to amount to millions of pounds, in an out-of-court settlement to British citizens and residents who had been incarcerated in Guantánamo Bay. And now Prof Juan Méndez, the UN’s special rapporteur on torture,is expressing “deep concern” about the government’s plans. He says they will allow intelligence services to be party to torture without any fear of disclosure of their role. Many people who have been tortured by “third party” countries allege that MI6 officers were giving the torturers lists of questions they wanted the torture victims to be asked. The “war on terror” is enabling governments in supposedly free democratic countries to strip their citizens of any rights. Secret courts and torture should have no place in our institutions. The treatment meted out to Binyam Mohamed should have been stopped. But things have only got worse over the past decade. All the government needs to do a bit of hand-waving and mention the word “terrorism” and bang! There goes another fundamental human right. What is the matter with us? Why do we allow our evil governments to exist? Something needs to be done about it. Please have a look at them. This is important! UK tortures terror suspects – it’s official! United Nations human rights investigators have published a report that concludes the UK government has been “complicit in mistreatment and possible torture” of British citizens during the so-called “war on terror”, says the Guardian today. This latest development follows a string of allegations about the United Kingdom’s own version of the infamous US practice of “extraordinary rendition”. Two months ago, the New York based Human Rights Watch reported that Pakistani intelligence officers admitted torturing British suspects on behalf of their UK counterparts. And there have been a number of allegations about MI5 (UK counter intelligence), MI6 (Secret Intelligence Service) and Greater Manchester Police officers involvement in torture at secret prisons abroad. No doubt some people will argue that in the climate of terror that has existed since 2001, sometimes robust measures have to be taken to safeguard public safety. I would remind those people that the victims of this torture were terror suspects, not actual terrorists. Time and time again, men who have been investigated and subsequently cleared of any involvement in terrorism have claimed they were tortured. At times it has seemed that any British Muslim visiting relatives in Pakistan is fair game for arrest, secret imprisonment and torture. And many of them have been examined by doctors who have found injuries that could only have been caused by the infliction of repeated, brutal violence. There is, for instance, the case of Binyam Mohamed. He was arrested in Pakistan and kept in a secret prison where he was tortured. 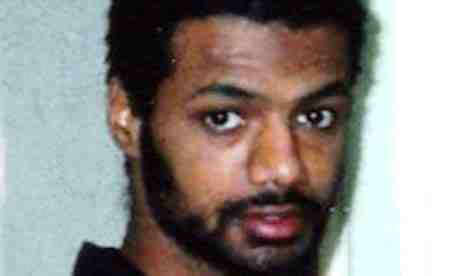 During this time he was questioned by a MI5 officer who was aware of the torture. Then he was given to the CIA, who flew him secretly to Morocco, Afghanistan and finally Guantanamo Bay. He was kept there for 4 years before finally being released without charge. Once he was back at home, Mohamed took the UK government to the High Court for its involvement in his secret imprisonment, extraordinary rendition and torture. It is useful to note that the British government did not deny his claims – David Miliband, then foreign secretary, just tried to cover it up. Miliband actually tried to censor the high court judges’ ruling, claiming it would hurt UK-USA relations if the truth about Mohamed’s treatment was made public. He actually got the CIA to write a letter to the judges saying the CIA would no longer share intelligence with the UK if Mohamed’s rendition and torture was revealed. Luckily the judges would have none of it and they published their ruling in full, criticising the government’s conduct in the matter. Binyam Mohamed is just one example. UK agencies have repeatedly colluded with other countries to secretly imprison and torture British citizens. And who knows how many citizens of other countries have been tortured on behalf of the UK? It is a terrifying fact that absolutely anyone could fall victim to these barbaric practices. It’s a victory for freedom! The European Court of human Rights ruled today that the British police’s powers to stop and search people whenever they feel like it are illegal. Section 44 of the Terrorism Act 2000 gives police the power to stop and search people in “designated areas” without needing any grounds for suspicion. Police officers have been using these powers routinely to harrass photographers all over Britain, often citing the possibility that the photographer might be a terrorist on a reconnaisance mission. You might think that’s quite reasonable – until you realise that officers have repeatedly stopped and searched professional photographers covering demonstrations and tourists caught taking pictures of tourist attractions like Westminster Abbey and Trafalgar Square. And countless amateur photographers have been detained and harrassed thanks to the far-reaching powers. I think that the judges were especially concerned that the powers are being used against demonstrators who are clearly not terrorists, and to block the work of journalists trying to cover demonstrations. The case was brought by Kevin Gillan and Pennie Quinton, who were stopped by police while their way to a demonstration outside the annual arms fair at the Excel centre, in London’s Docklands, in September 2003. Gillan was stopped and detained for 20 minutes without good cause; Quinton, a journalist, was ordered to stop filming the protest even though she had shown her press card to officers. How can these police actions be justified? Remember, the police were using powers granted to them by the Terrorism Act, but there was no suggestion that Gillan or Quinton were in any way involved in terrorism. This is a clear example of the police abusing their powers. And there is also clear evidence that the police are going to continue abusing their powers, under government orders, for as long as they can get away with it. The police are breaking the law. The police are the criminals. Let’s fight crime! Photography != Terrorism… no matter *what* they say!! I don’t think I’ve ever mentioned this before: but I’m a keen amateur photographer. In the olden days, when photographers still used film, I had a succession of Pentax cameras: an ME Super, a Program A, and I still have a SF7. But film is old hat nowadays, we all use digital; and I couldn’t afford a digital SLR, so for now I’m using a Fujifilm S5700 “bridge” camera. Still, it’s okay for my favourite types of photography: landscape, architectural, and its small size maks it grrreat for street photography. Unfortunately, photography in general and street photography in particular are in real trouble here in the UK. Why? Because the police have got it into their heads that photographers are all potential terrorists! I’m not sure, but I think this paranoid delusion first took hold when the police found photos of “potential targets” in the belongings of terror suspects. Individual officers were told to keep an eye out for photographers both overt and covert as they might be performing reconnaissance for an attack. This has resulted in street and architectural photographers being harrassed, searched and detained by police and community support officers, chiefly in London but also in other towns and cities. 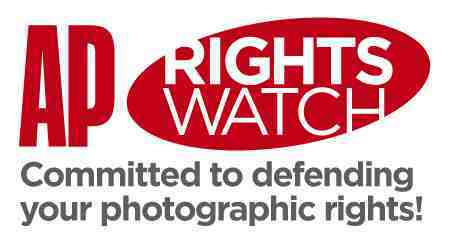 The UK magazine Amateur Photographer has been running a campaign to defend our rights since 2005, when police persecution of photographers first became apparent. There’s a nice article on the AP website that runs through the campaign, starting with Roy Jhuboo who was stopped and searched by overzealous officers when he was out and about taking photos in Limehouse, East London. The police told Jhuboo that he’d been searched because “he could have been on a reconnaissance mission to launch a ‘rocket’ on nearby Canary Wharf.” Two police vans full of officers were sent to intercept him because he had been seen taking a photo of a house! Since AP began their campaign in 2005, government figures have sought to reassure us that photographers in general are not being targetted. And both the government and ACPO (the Association of Chief Police Officers) have publicly issued advice saying that photographers should not be bothered unless there are good grounds for suspicion. Yet every week there are more stories in the magazine telling how photographers have been stopped, searched, even arrested by police for no more reason than taking photos in public places. The City of London Police even told AP that anyone taking photos in central London should expect searches and demands for identification, even though this directly goes against the guidance all forces have received from the government and ACPO on this subject. Opposition to the police stance on photographers is wide-spread and growing. MPs who are also enthusiastic photographers have raised the subject in Parliament. Professional photographers working for the media have got the issue in the news. But the harrassment continues. I would ask all photographers to support Amateur Photographer in its campaign to defend our rights. It is gradually becoming acceptable in the eyes of the police and some members of the public. We need to stop this! We need to reinforce the fact that we have the right to take photos in public places. We must not allow the police and their political masters to create a climate in which innocent photography can be banned. The self-dubbed “Lyrical terrorist”, the first woman to be convicted under section 58 of the Terrorism Act in November 2007 after writing poems celebrating the beheading of non-Muslims, has had the conviction quashed by the court of appeal. 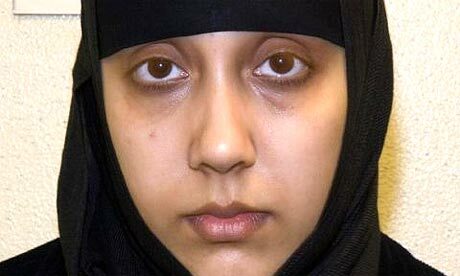 Samina Malik was found guilty of “collecting personal information likely to be useful to a person committing or preparing an act of terrorism” – she possessed various documents including the al-Qaida Manual, the Terrorist’s Handbook, the Mujahideen Poisons Handbook and several military manuals – but it seemed at the time that the jury was more concerned about her poetry. Malik called herself the Lyrical Terrorist because she thought it sounded “cool”. There was no suggestion that she actually was a terrorist. But the Daily Mail at the time made loads of fuss about the fact that she worked in an airside newsagents at Heathrow Airport… like maybe she was going to hijack a plane or something. The Terrorism Act made the possession of “terrorist handbooks” and military manuals illegal. But the court of appeal has since ruled that possession of such material is a crime only if it can be linked to an actual terrorist attack. Which is just as well – a government that bans books deserves no respect. U.S. lawmakers including Rep. Connie Mack and Rep. Ileana Ros-Lehtinen, both Florida Republicans, have called for the State Department to add Venezuela to its list of terror sponsors, which currently includes North Korea, Iran, Syria, Sudan and Cuba. They have expressed concerns about what they call Chavez’s close ties to Colombia’s leftist rebels. Asked whether Washington was seriously considering designating Venezuela as a state sponsor of terrorism, Rice said the U.S. was ready to respond if necessary. “There is after all a U.N. obligation that all states have undertaken to do everything that they can to prevent terrorists from actively using their territory, from being engaged in terrorist financing,” Rice told reporters after a meeting with Brazilian leaders Thursday. Chavez has been characteristically upbeat about it all, telling the USA that they can “shove” their list. He hasn’t admitted to funding the FARC, but it’s clear he doesn’t consider the Colombian rebels to be terrorists. After all, one man’s freedom fighter etc. But strangely, Chavez hasn’t pointed out the obvious fact – that the USA, for all its prissy attitude, is the biggest state sponsor of terrorism there is. Who remembers the Contras, funded and armed with drug money by the US Government? I do. But that was ages ago. Afghanistan wasn’t that long ago though. Osama bin Laden and his merry men were funded, armed and trained by the Americans. Don’t give me any of that “But they were fighting evil Soviet invaders” crap. When Al-Quaeda and the Taliban resist US invaders in Afghanistan or Iraq, they’re called terrorists. So the same rules apply when they’re battling other invaders. In fact, the USA’s entire foreign policy for the past 7 years has been terroristic. America imposes its will on other countries through force of arms – through the threat of violence or through actual violence. Just cos the bombers and snipers chew gum and eat burgers, doesn’t make them any less terrorist than anyone else who gets up to such evil tricks. Maybe you’ll bleat: “But the US are up front, they’re not sneaky and underhand in their carnage-causing!” As far as I can see, someone who uses remote-controlled drone planes and missiles to kill folk is as sneaky as they come. And don’t tell me the Americans only kill “enemy combatants”. They take out plenty of civilians too. And they kidnap – Guantanamo, extraordinary rendition – and torture. The USA doesn’t just sponsor terrorism – the USA commits terrorism. Oh, before I go – on Wednesday President Bush accused the Venezuelan government of destabilizing, provocative behavior, saying “it has squandered its oil wealth in an effort to promote its hostile, anti-American vision.” Thing is, Venezuela got this wealth from… you guessed it, the USA. America is funding Venezuela’s anti-American hostility. And, if Chavez really is giving money to the FARC, that means America is sponsoring terrorism in Colombia too!! LMFAO!! 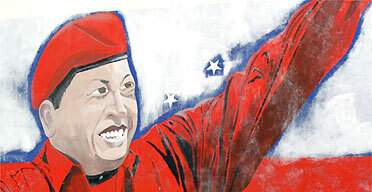 A mural of Venezuelan leader Hugo Chavez in Caracas. click on the logo to get a free SIM! 4G as default, cheap as chips, great for tethering when you can’t get a wifi signal! giffgaff, the mobile network run for you! !